The art of diplomacy, it is said, is to recognise the beliefs, opinions and feelings of other people and to balance them accordingly with those of their opponents – breeding it itself an air of open communication based on mutual respect and rational understanding. 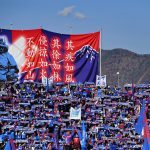 Politics and football – polar opposites in isolation – share common characteristics and are, for better or worse, inextricably linked. Real Madrid Club de Fútbol come closest to encapsulating this divide between institution and dogma. Within politics, a diplomat compromises his or her neutrality when they share stakes between the opposing sides of a debate or miscommunication. In normal circumstances they are an outsider – a person who has no such stakes in the settlement and who can cast an objective and unbiased view on discussions to meet an agreeable middle-ground. Iker Casillas was thrust into this mould of peacekeeper from within inadvertently when he was made captain of the Spanish national team following the exclusion of Raúl by manager Luis Aragonés prior to Euro 2008, and later captain of Madrid in the summer of 2010 – once again following the departure of the masterful Rául. This coincided with the introduction of José Mourinho as manager following the return of Florentino Pérez as president of the club a year previous whereby generation Galácticos 2.0 would come into fruition over the coming years. Within the parameters of the armband, Casillas would adopt the role of statesman over the kingdom of Madrid. A representative of the club’s historic traditions of señorío that had adorned its prestigious past, the Bernabéu would act as his castle, and Pérez his master. As the golden-boy prince to be, Casillas would have to fight his battles of peace on two fronts, however – firstly at home in Madrid between the fragments of the ensuing schism of players, supporters and Pérez. While abroad he would engage in a national debacle between the inner-workings of Spain’s national team – Camp Barça versus Camp Madrid, Catalans against Spanish. Casillas has always been a people pleaser. Fans, media and players alike warm to his modesty and humble nature. In a Madrid characterised by big-money signings and a yearly summer blockbuster superstar to set pulses racing in expectation, Casillas was always a warm sea of calm and reservation amid chaos. From the age of nine he was a thoroughbred Madridista, and has said that since the day he first adorned the club’s colours that his life’s dream was met. It is the deluded and narrative box-ticking of Madrid that would come of the Mourinho vs. Guardiola eras, insofar as Madrid were subjected to play the role of “evil superclub” to Barcelona’s “purist football through youth” in recent years that Casillas was viewed as an outsider to Madrid’s perceived exterior. During those El Clásico showdowns it would not be an uncommon site to see Casillas, Xavi and Carles Puyol come together in order to self-discipline their misbehaving players. Casillas’s endeavours towards peace, therefore involving friendly communication with Barcelona rivals such as Puyol and Xavi, on such occasions would lead to his unfortunate demise and isolation at Madrid at the hands of Mourinho. It is the bitterly sad ending to Casillas’s 16 seasons in Madrid that would cut through his role as the beating heart of Madrid. Madrid have carried their tradition of senario since the days of Alfredo Di Stéfano and Ferenc Puskás. It defines the type of character and personality that a player should wear as a representative of the club. When we think of senario we think of respect, of achievement, of modesty, dignity and pride. This tradition was lost during the tenure of Mourinho, with the Portuguese’s mentality of win at all costs taking no time to consider alien concepts of restrained modesty – this mind-set unduly epitomised in his distasteful poking of Tito Vilanova’s eye in August 2011. Casillas was cast aside by Mourinho viciously for two reasons: firstly, for his supposed leaking of information to the Spanish press during the 2011-12 season, and secondly for engaging in peace talks with the leading Spaniards of Barcelona in order to reach an accord within Vincente del Bosque’s national side. One looks back at photographs of a young Casillas draped in a baggy green goalkeeper jersey during the 2002 UEFA Champions League final and sees the face of a loyal prince-like statesman to be. Quiet and shy but deadly spoken in the words of his actions, the saves he pulled and the clearances made. 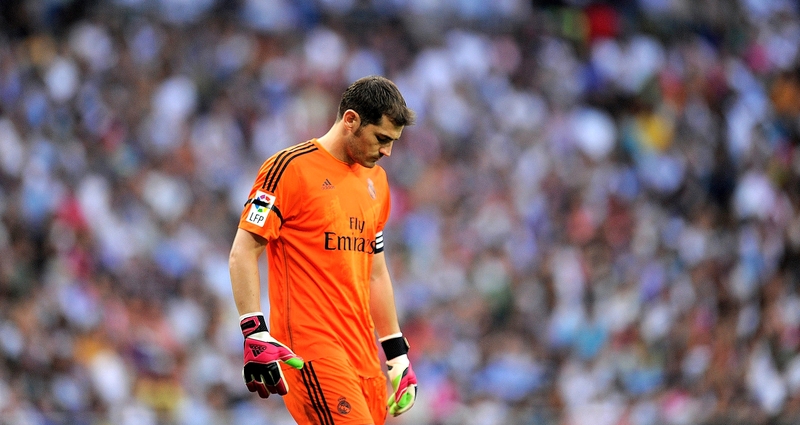 It was to be Casillas’s moral mentality that would lead to his untimely alienation from within his club, however. Mourinho – an outsider brought in to derail the achievements of Pep Guardiola – ultimately showed Perez’s unflappable desire for success that would lay to waste even the club’s longest serving and most loyal practitioner. Casillas did earn his silver wings through lifting the 2014 UEFA Champions League as captain of his boyhood club in a sensational final, but the image is deluded and masked in bitterness. The reality is, at the time, Casillas’s place at Madrid was no longer secure and relations from within simply beyond repair. Casillas had undergone two years of underwhelming personal performances – his confidence in pieces and his starting position untenable. The FIFPro World XI goalkeeper for five consecutive years between 2008 and 2012 was now blundering an almost unrecognisable figure, especially when he gifted Diego Godín a sloppy goal to hand Atlético Madrid the lead in the 2014 final – he more so than anyone rejoiced beyond exclamation at Sergio Ramos’s 93rd minute equaliser. During his time in Madrid, Mourinho despised fleeting loyalty to his aims. He subsequently also despised the friendship of his captain to Barcelona’s Xavi. The two would ultimately have to breach peace accords between the two divided factions of Spain’s national side between Madridistas and Culés – with Casillas’s own father later describing their effort to mend relations prior to the European Championships in 2012. “If it weren’t for Xavi, Casillas and del Bosque, Spain would not have come this far,” he said speaking in 2012. “The Clásicos led to difficult moments. Relationships between players who used to be friends were about to go sour. “There were issues with [Alvaro] Arbeloa, Xabi Alonso and Sergio Ramos among others. The behaviour of some players wasn’t appropriate. Luckily Iker and Xavi then got involved. As such, this disdain on Mourinho’s part was brought to light when Madrid signed then-Sevilla goalkeeper Diego López for €3.5 million midway through the 2012-13 season. This was the first of the final nails to be rooted deep into the coffin that was Casillas’s career at Madrid. Lopez’s permanent signing as opposed to a loan deal without the gift of hindsight appeared a strange acquisition – even with Casillas suffering a broken hand in January – but may simply have coincided with the growing trend among Europe’s elite clubs to play one goalkeeper in league games and another in cup competitions. But with hindsight López’s introduction sent clear signals throughout Madrid that Casillas’s days were numbered. The first calling-card came in November 2012 when Mourinho made the conscious decision to drop his captain to the bench in favour of 25-year-old Antonio Adán following previous months of poor results featuring a 1-0 loss to Real Betis, a 2-2 draw at home to Espanyol and a desperate 3-2 win over Real Valladolid – results which culminated in showing the shaky and mistake-laden performances of Casillas. This was shortly followed by the acquisition of López, who would go on to make 16 Liga appearances following a serious injury that saw Casillas break his hand against Valencia at the end of January 2012. But even upon his return from injury his starting position was no longer guaranteed, but rather given to López. Casillas’s performances were in themselves poor and below his set standard that still perceived him in many eyes as the world’s best goalkeeper. His dropping was further fuelled by his alleged leaking of information amid the underlying psychological battles taking place within the Madrid dressing room. It all began following the Super Cup meeting of Madrid and Barcelona in August 2011. The noted hatred and malice had grown rife between the rivals ever since the first meeting of Guardiola and Mourinho’s sides – Barcelona’s 5-0 hammering of Madrid in November 2010. By this stage tensions between opposition players were at breaking point and the pressure of achievement coupled with the sting of any future failure for Mourinho was incalculable. He had come off the back of a European and league winning Inter Milan side that featured beating Guardiola’s Barcelona in a momentous semi-final. Mourinho was subsequently deemed the only man in football capable of derailing the Blaugrana. But his first season in Madrid had ultimately achieved little. He had won the Copa del Rey but had conceded the league title to Barcelona and lost in the UEFA Champions League semi-final to them as well, failing to win in both league meetings between the sides as well as losing at the Camp Nou 5-0 in his first Clásico. Therefore, the meeting of the pair in the Super Cup in August 2011 had gathered all of the first season’s tension, hatred, frustration, fear and boiling desire into a cauldron of malicious intent. This intent ultimately spewing forth following Marcelo’s red carded chomping at Cesc Fàbregas’s leg that led to a massive brawl-like confrontation of players, managers, technical staff and officials along the Camp Nou touchline that climaxed at Mourinho poking Barcelona assistant manager Vilanova in his eye. By now the game was up and breaking point achieved. The brawl involved many altercations but none more so significant than the heated discussion between Casillas and Xavi. Casillas had up to this time made it a point of reference for him as captain to publicly back Mourinho at all times – this point coming directly from above as Florentino Pérez did not desire any further splits, real or media-created – to evolve. But the splits were all too real. Casillas knew things had gone too far, and with European qualifiers on the horizon, the fate of the Spanish national side in many ways depended upon the mending of relations between Madrid and Barça. He called Xavi and a clearing of the air ensued. As reports go, Casillas took full responsibility that Madrid had been to blame for the rise in tensions between the clubs. He acknowledged that Mourinho’s actions were trying to forge a wedge between the clubs and that this would have a detrimental effect on the national side. He offered amends and asked that Xavi pass on the olive branch to the rest of Barcelona players. Mourinho got wind of the situation and saw it as a breaching of loyalty. He interpreted the call as cowardice on Casillas’s part and a showing of weakness before their rivals. Mourinho would call to reference the conspiracy theories that had plagued Madrid of success, as world football favoured Barcelona on repeated occasions. “I simply laughed and showed my thumbs up. That was it. If I say to him and UEFA what I think, my career ends today. I can’t say what I feel. I only leave one question. Why? Why? Ovrebo, Busacca, Frisk, Stark? Why to all these people?” he said following Barcelona’s Champions League semi-final win in 2011. Barcelona had provoked Madrid through the decisions of the referees; their diving, their play-acting and their pandering to the officials on any given occasion. Madrid were in the right, he would always claim, and Casillas’s apology would confirm Real’s presence as an evil empire within the narrative. From thereon in, Casillas’s stay at Madrid was a ticking clock on the walls of the Santiago Bernabéu. Even under the guidance of Carlo Ancelotti, his confidence had been too far shattered under the harsh psychological pit-hell of a Mourinho dressing room to regain his best form. But his efforts toward peace are in themselves noble and must be recognised. Casillas was not happy following the dismissal of Rául and Guti under the stewardship of Pérez. He did not appreciate the constant daily visits of Jorge Mendes to Valdebebas and did not take part in courting the agent like so many others would. Casillas, knowingly or not, hit the self-destruct button on his own career in Madrid and in doing so salvaged the achievements of the Spanish national team. Without that phone call to Xavi relations could only have further deteriorated between Madrid and Barcelona players, and as such the plagues of Spain in major tournaments whereby the Madrid/Barcelona factions would cost them, ultimately were not given the chance to surface. He had to deal with Mourinho, his defensive football, the divided supporters, Mendes and Pérez. He tried in earnest to do the right thing when taking a more cynical and stoic outlook may have prolonged his Madrid career. But ultimately he succeeded – on one front at least. His legacy to Spanish football is undying and will hark through the generations. Reasonably debated as Spain’s greatest ever player, his achievements on the pitch through supreme athletic goalkeeping only tell half the story of a career that was fought as bravely and honourably in the dressing rooms, on the phone and in the corridors of the Santiago Bernabéu as a true señorío of Real Madrid – his club eternally.